Navicat for PostgreSQL Enterprise Edition is a powerful database administration and development tool for PostgreSQL. 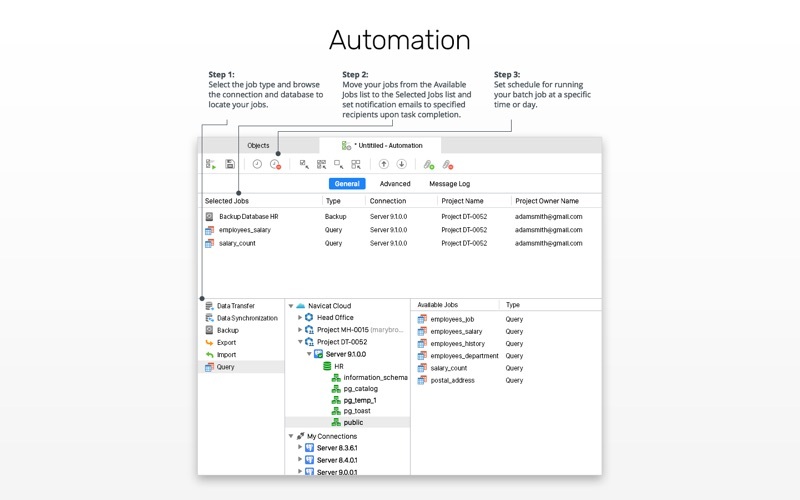 It comes with advanced features such as the Data Modeling Tool, Import/Export, Visual Query Builder, Data Transfer, Data and Structure Synchronization, and Batch Job Scheduling. Create, organize, access, and share information securely and easily with an intuitive GUI and take advantage of the flexibility of Navicat Cloud to sync your connection settings, models, queries and virtual groups to the cloud so you can get real-time access to them anytime. 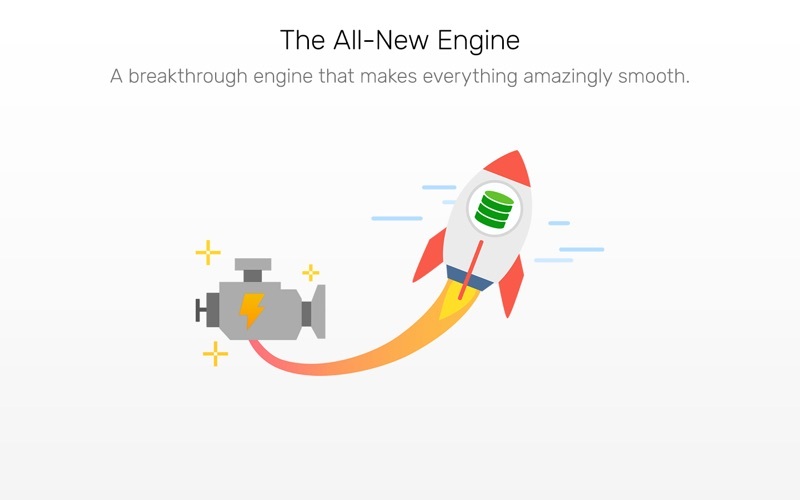 Navicat’s sophisticated features provide professional developers with the tools they need, but are designed to be easy to learn for users new to database servers. Navicat for PostgreSQL is compatible with PostgreSQL Database Servers from version 7.3 or above, and supports most of the latest PostgreSQL features. The Data Modeling Tools allows you to create graphical representations of a relational database. 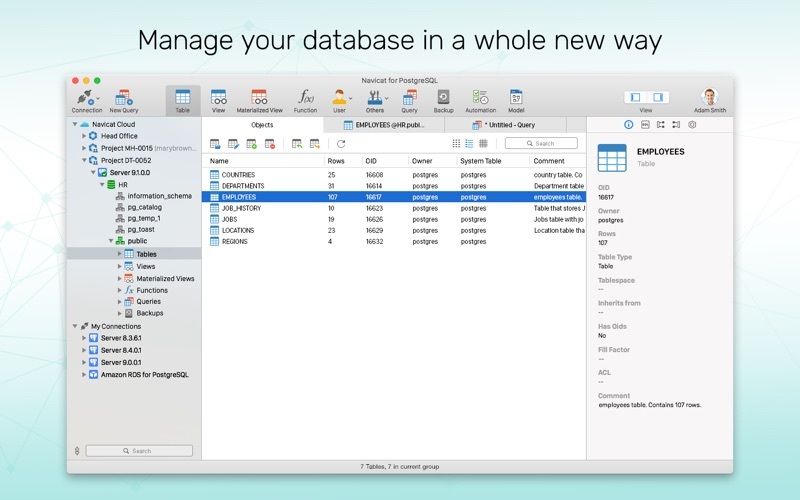 The Reverse Engineer lets you create and edit database models from existing databases or create a model and generate a database to support it. Navicat Data Modeling also allows you to compare and synchronize between Models and Databases and generate SQL/DDL scripts. The PL/PGSQL Debugger offers features for setting breakpoints, stepping through the program, viewing and modifying variable values, and examining the call stack. Debug PL/PGSQL code directly from the Navicat environment. 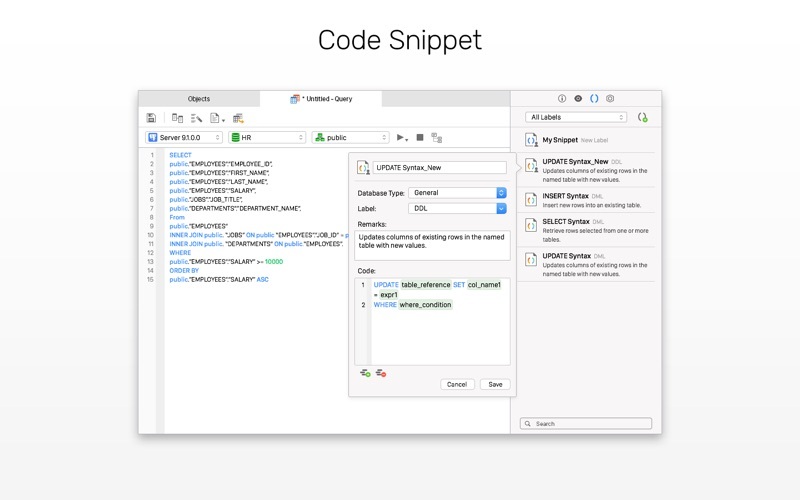 The Visual Builder allows you to build complicated queries without knowledge of SQL syntax. Quickly construct SQL statements in SQL Editor with the code/word completion feature. All it takes is a pick from the drop-down list. Navicat for PostgreSQL provides a wide variety of file formats for inserting and extracting data to/from your database. Create new tables or update existing ones with formats including XLS, XML, CSV, TXT, and DBF. 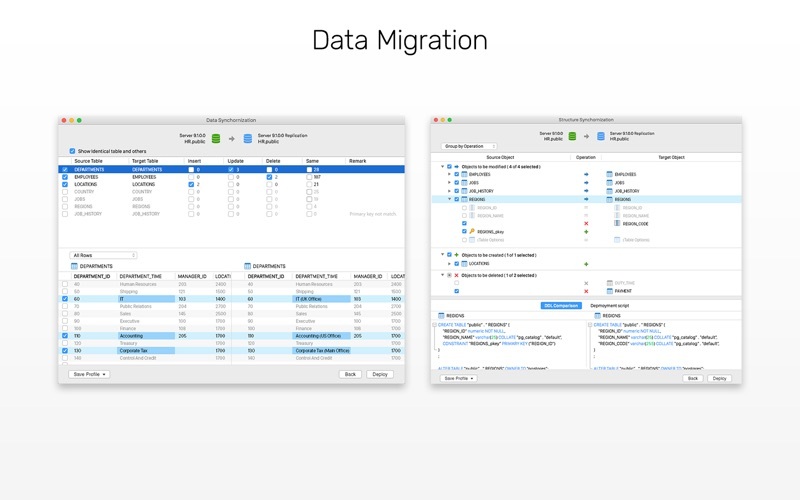 Advanced Data Transfer brings a new level of reliability in data transfers between databases. Navicat’s synchronization tools help you centralize data and keep databases up-to-date so that each repository contains the same information. Sync your connection settings, models, queries and virtual groups to the cloud so you can get real-time access to them anytime, anywhere. With Navicat Cloud Collaboration, you can create, organize and share files/projects with your coworkers from anywhere, on any device. You can take control of your project– adding members you choose, defining the role of each member, and get visibility into your team activities from the Activity Log to align your team for greater productivity.